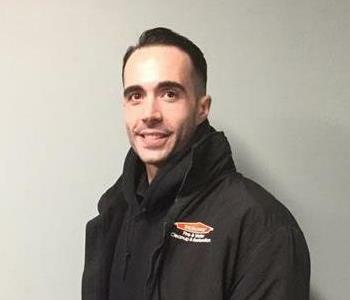 Christopher Gagnon has been the General Manager of SERVPRO of East Greenwich/Warwick for 7 years. 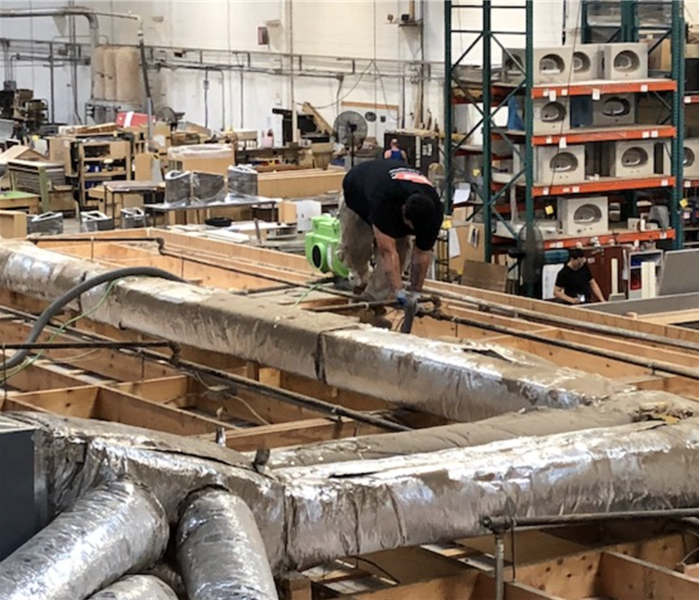 He has received certifications as a Water Restoration Technician, Fire and Smoke Restoration Technician, Applied Structural Drying Technician and as an Air System Control Specialist. 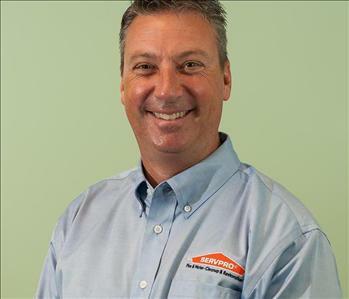 Prior to becoming the General Manager at SERVPRO, Chris owned a commercial printing company for over 20 years. He is a large supporter of JDRF Golf Community annually. And he also enjoys golfing, going to the beach and spending time with his family and friends. Melissa Pelletier is the Office Manager at SERVPRO of East Greenwich/Warwick. 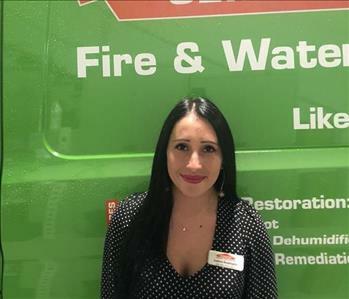 Melissa has been with SERVPRO for eight years and has her Associates Degree in Administration. Melissa has also received a certification in DryBook and has received SERVPRO's on the job training. Melissa loves reading and spending time with her great-nephew. Chris Gagnon Jr. is A Project Manager at SERVPRO of Providence. 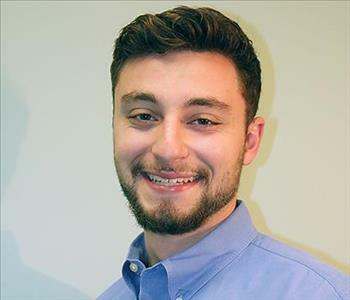 After attaining his bachelors degree from Fitchburg State, CJ joined us as a technician for one year and has spent his most recent two years with us as a project manager. He has received certifications as a Water Damage Restoration Technician and Applied Structural Drying Technician. CJ participates in various community service and charity events and enjoys exercising, golfing, and meeting new people. Andrea Diggle is an Executive Account Manager who loves making people happy & helping them achieve their goals. Andrea previously worked as a general manager in a bar/customer service based industry but after meeting our owner several times, we knew she needed to be a member of our team and we are honored to have her contagious charisma & can-do attitude on our team. Not only does she have her Associate’s Degree in Business but she is also pursuing a degree in International Business. She is also a member of local Business Networking International (BNI) groups, the Rhode Island Central Chamber of Commerce, and the Oil Heat Institute of Rhode Island. Andrea lives in North Attleboro, MA with husband and their two beautiful daughters & their two cute chihuahuas. She loves reading, crafting, and her family loves to take a lot of day vacations where they play board games and adventure. certification as a Water Damage Restoration Technician. He has a background working with sheet rock. He enjoys spending time with wife and kids. And also likes to play softball. 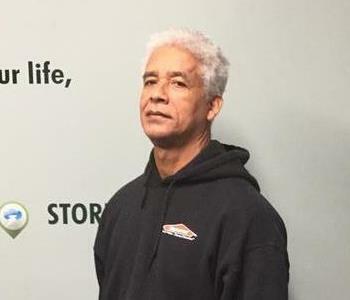 Andres Garcia is a Crew Chief and has been with SERVPRO of Providence for 22 years. He is certified as a Water Damage Restoration Technician. Andres enjoys spending time with his wife and 2 children. 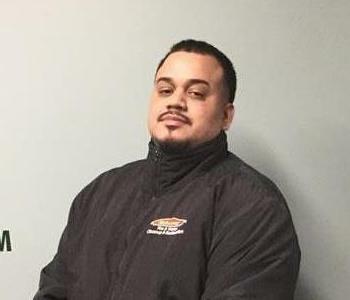 Wilmar is a Crew Chief and has been with SERVPRO of East Greenwich/Warwick for 16 years. He’s certified as a Water Removal Technician and has also received a certification from the American Biohazard Recovery Association. Wilmar also enjoys fishing. 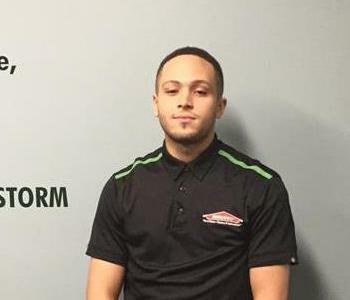 Alejandro Rodrigues is a Crew Chief has been with SERVPRO of Providence for 5 years. He has received his certification as a Water Removal Technician. Alejandro enjoys spending time with his family. Zachary is a Crew Chief and has been on our team for over two years and has great expertise in mold & water restoration. He has over eight years experience in the restoration field and lives in Providence, RI. 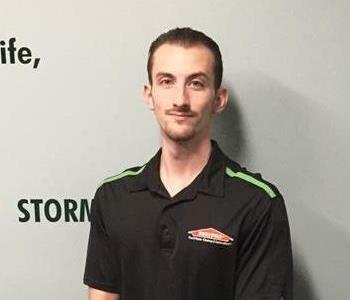 Richard is a Restoration Technician and has been with SERVPRO of Providence for 5 years. He has been working in construction since he was 14 years old. He enjoys spending time with his family, going to the beach and parks. Jose is an Institute of Inspection Cleaning and Restoration (IICRC) certified Water Damage Restoration Technician on our team and prides himself on his time management and communication skills. He lives in Cranston, RI and spends his free time doing yoga, going to the gym, and at the church. Steven is a Restoration Technician who previously worked as a roofer and in detailing so he has a keen eye for cleaning. He lives in Cranston and enjoys the quiet. Tomas is a Restoration Technician on our team and has been with us for one year. Tomas loves spending time with his wife and their three children when he’s not working. Jonathan has been on our team for over a year and is an Institute of Inspection Cleaning and Restoration (IICRC) certified Water Damage Restoration Technician. In his free time, Jonathan likes to practice karate, travel, and is a member of Freemasons.